Six people walked out of the theater during The Tree of Life when I saw it a few weeks back. (You may want to view the trailer if you’re unfamiliar with this film.) This is the sort of affect Terrence Malick’s latest film has had on viewers. This isn’t to say I know why those people walked out; whether you love or hate this film, very few people claim to fully understand it. 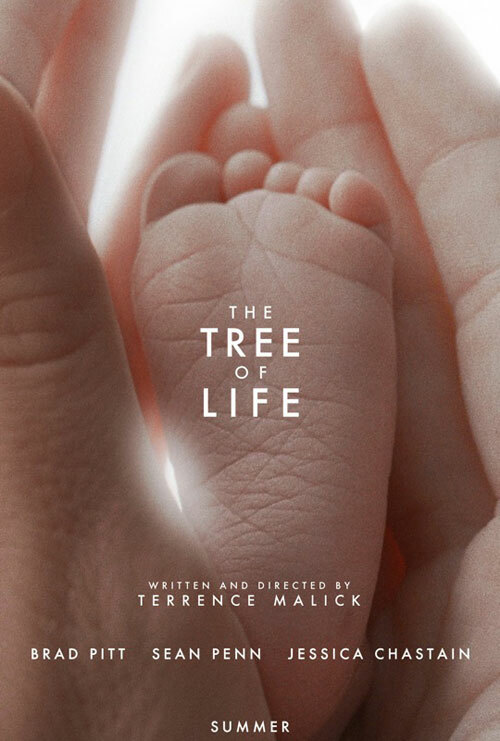 Alternating mostly between one 1950’s family in Texas and expansive views of the universe at different levels of magnification, The Tree of Life contains very little linear narrative. I was left mostly with impressions, snapshots and intuitions, probably not what many people go to the movies to experience. This week I’m preparing for a sermon about vulnerability within the church. Malick’s film keeps helpfully coming to mind as I consider this topic. I wonder if this wasn’t one of the ideas the director wanted to place before the viewers. By alternating between the vastness of the universe and the daily life of a Texas family, viewers are invited to consider the connectedness of these two systems. In each we find beauty and suffering and in each we find vulnerability. The film opens with a voice describing two ways to live, the way of nature and the way of grace. These ways are embodied by the family’s father and mother, their assumptions about the world shaping how they live and love. The transcendent element to these distinct ways is vulnerability- to pain, decay, heartbreak as well as to joy, love, and surprise. The way of grace may experience vulnerability differently than the way of nature but it doesn’t change it’s reality. It is common for Christians to talk about choosing to be vulnerable. The Tree of Life reminds us that there is no choosing when it comes to vulnerability, we simply are. We choose only whether or not we will acknowledge and even embrace this tender part of our humanity. How do we come to embrace vulnerability? The answer has to do with a vulnerable God and it’s what I hope to explore on Sunday. I thought about this a lot during and after your sermon yesterday, and thought I’d throw 2 cents in. I liked your thoughts on vulnerability, and would add this. Vulnerability entails not just having felt pain, but a weakness. A means by which another could cause pain. It is entirely possible to expose our vulnerabilities, and I think that this is why people confuse vulnerability with openness. Vulnerability is not openness to pain, it is a susceptibility to pain. However, we can make ourselves vulnerable by exposing our weakness to others. It is often the case that when others do not know our vulnerabilities or weaknesses, then we are invulnerable to them. The difference between being vulnerable and making oneself vulnerable is only a subtle difference of language even though the difference in ideas is huge. I agree with you that God does not intend for us to be vulnerable. The call is to make expose our vulnerabilities to our Christian community, and thereby gain strength through each other as we react to vulnerability as Christ responds to our vulnerability. In that way, we are the body of Christ to each other. Just some thoughts. As always, I love your sermons. I’m glad to have you preaching in our church. Thanks for your two cents Jody. I appreciate how you differentiate between vulnerability and openness and I agree that the act of being open (or, as another person on Sunday put it, transparent) is itself an exposure our vulnerability. The great challenge of our church in this area is to be a safe place for our vulnerabilities to be acknowledged through our openness with each other. And by safety we cannot mean never hurting each other; this is impossible. Safety must be rooted in the Gospel practices of confession, repentance and forgiveness so that when we are careless with each others’ vulnerabilities we have avenues of reconciliation.